The weekend felt hectic yet peaceful…is that possible? We crammed quite a bit into the weekend as I of course had another house project to knock off my list and a few other items that are a part of our weekend routine…but I still felt as though we made time for us. That’s something that I know Mike and I have really been trying to improve on over the last several months as Kai gets older and we realize that planning is everything. Secretly my spontaneous heart breaks as I know we have to schedule most things to keep ourselves afloat and not ready to blame where our lives are right now. Ministry and family (minus all the other stuff) is such a delicate balance – I am constantly praying we make the most out of the times we have together (big and small) and not regret what we think we should have had. Often I get caught up in our schedule and making sure that bed times, nap times, food, and everything else under the motherly scope stays somewhat consistent despite it being the weekend. This often is met by the same three words from my husband… it’s not everyday (babe is sometimes added depending on the mood). Sure it’s not everyday we stay up late or eat ice cream before dinner or watch movies though we need to be up before 7am the next morning. Sometimes I loathe these three words, because I know that regardless of my promptings we are going to bend the rules for the moment…but when I see the joy it brings on Kai’s face and in turn my husband’s it reminds me that it’s not everyday. Not everyday is filled with bending the rules and our lives are easily consumed with routine. 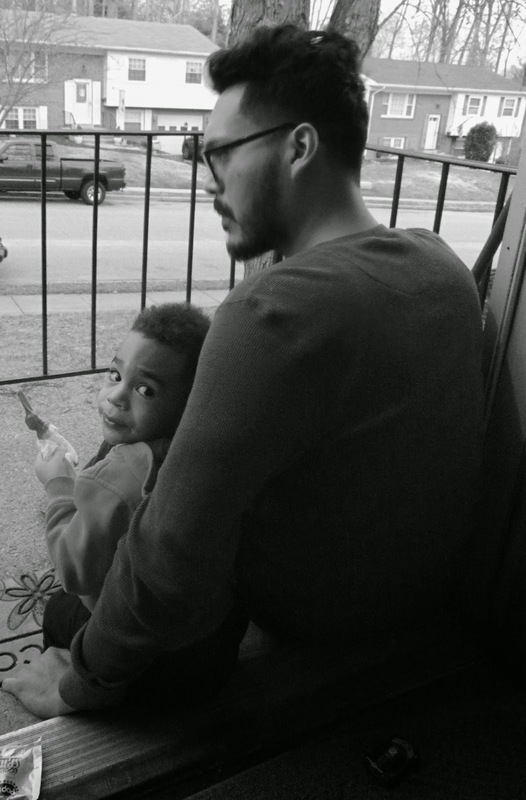 So as I watched my husband introduce the ice cream truck to Kai for the first time Saturday – everything inside of me wanted to remind him we hadn’t eaten dinner, but it’s not everyday. As Kai’s gigantic gorgeous eyes lit up as daddy unwrapped his spider-man ice cream with gumball eyes I know his day was made (even to the point of crying because we had to throw the wrapper in the trash…). I also watched Mike enjoy a moment as a dad and that’s something I don’t want to take away ever… and I’m glad they allowed me to peak into their moment together. It’s not everyday… so make it worthwhile.